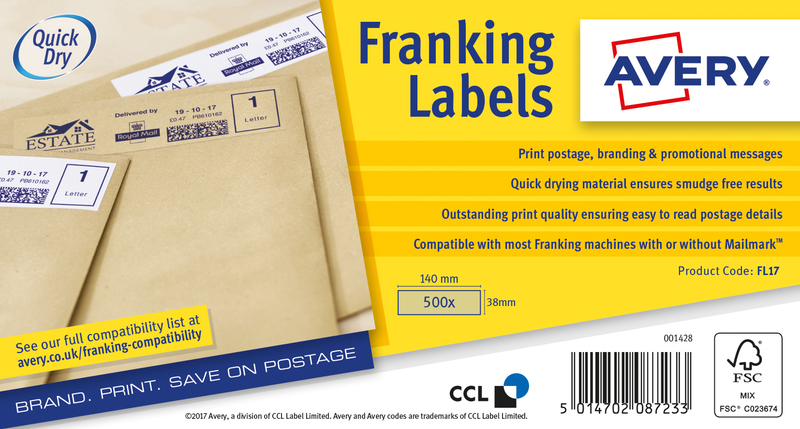 These Avery franking labels are the ideal choice for use with your automatic franking machine. The brown Kraft material is 100% recycled for an environmentally friendly solution to envelope and packaging labelling. Each label measures 165 x 44mm. This pack contains 500 brown labels.